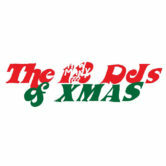 The 12 DJ’s of Xmas is back this year to gather food for the less fortunate. This year we are doing two rooms of music and will be announcing the Lineup in the coming days….. Admission is 5 Canned Goods or $10 at the door. All donations benefit Gleaners Food Bank of Indiana Inc. Follow this page and Crush Entertainment for more details as they are released!